Today is International Women’s Day (IWD). On this day, on March 8 every year, we celebrate women’s achievement in society and mark our solidarity for equal rights between women and men all over the world. This day, also called International Working Women’s Day, or sometimes Women’s Liberation Day, or just Women’s Day, is celebrated in many ways. Here in Norway there’s a tradition for a Women’s march, where women and men march for various women’s right issues. In addition there are also social and cultural events to celebrate the day, but the focus that day is always on the women’s right issues. We congratulate all women on International Women’s Day with Pavarotti singing Donna non vidi mai (“You haven’t seen a woman like that”) from the Puccini opera Manon Lescaut, live from Munich in 1986. We follow this love declaration with three legendary Italian pop singers: Ornella Vanoni sings Finalmente libera (“Finally free”), Mia Martini sings Libera (“Free”) and Mina sings Oggi sono io (“Today I’m me”). Felicitazioni per La Giornata internazionale della donna! This post was first published 08-03-2015. Last revised 08-03-2015. Posted in Italy, Luciano Pavarotti, Pavarotti, Pavarotti in opera arias, Pavarotti's performances, Pavarotti's recordings, Pop music, Women's Day with Pavarotti on March 8, 2015 by Odd Pavarotti. Diana Ross is a living a legend. Her fantastic live shows and TV appearances, especially the ones in the 1970s and 1980s, are two things that made Diana Ross a legend. Her concert at Caesars Palace in Las Vegas in 1979 is one of those legendary live shows. This concert was later televised and has also surfaced on various DVD releases in later years and of course on YouTube. In the two first videos below Diana Ross sings Touch Me In The Morning and The Boss from this concert. This is such a fantastic show from beginning to end. The opening and closing of the show is magnificent! See the entire concert from beginning to end in the last video below! See my other blog post about Diana Ross here and here. I also recommend you to check out The Official Diana Ross Facebook Page and this wonderful fan site. Have a very Diana Ross day! This post was originally published 26-03-2014. Last revision 26-03-2014. Posted in Pop music on March 26, 2014 by Odd Pavarotti. I’m just thinking: Maybe Diana Ross can explain why I became so fascinated with opera? Or is pop music in general to blame? And by the way: For those of you who think they are a diva or a prima donna: You wouldn’t last a night at Caesars Palace! No one can match miss Ross! Today is a very special day. 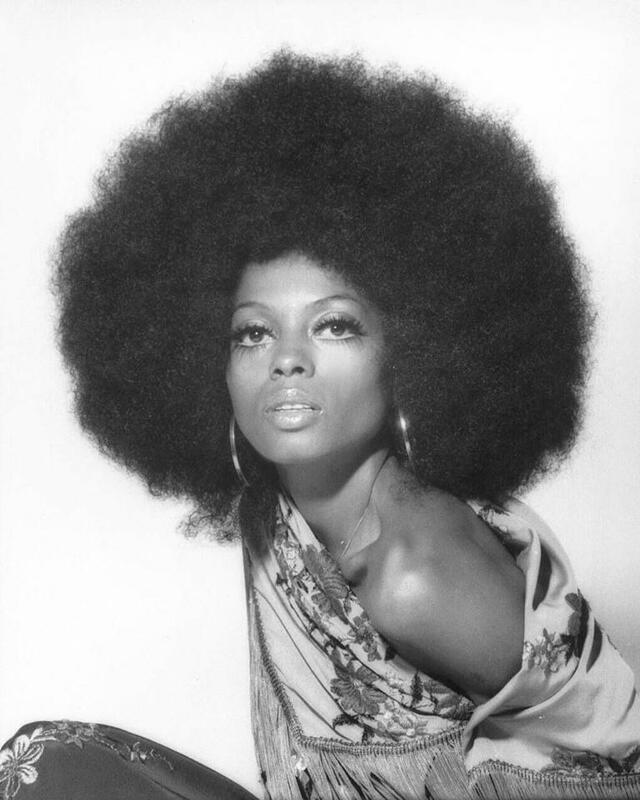 The legendary African-American pop/soul singer and actress Diana Ross celebrates her 70th birthday! For Diana Ross fans like me there are really no words to capture her greatness as an artist, but I could try: The ultimate entertainer, the supreme diva, the queen of Motown. One thing is for sure: Legendary doesn’t quite cover what she means for us fans! Diana Ross was born on March 26, 1944 in Detroit and shoot to fame in the 1960s as the lead singer of the Motown girl group The Supremes. Motown’s boss (and Diana’s lover) Berry Gordy saw the star quality in Diana and made her the lead vocalist of the group, and in 1967 the group was renamed Diana Ross & the Supremes. To this date Diana Ross & the Supremes is the most successful girl group ever. Diana left the group in 1970 to pursue her solo career. After a string of hits in the 1960s with The Supremes, she continued to have a number of hits in the 1970s, 1980s and even in the 1990s. Her live shows and TV appearances, especially in the 1970s and 1980s, are legendary. Diana also pursued a movie career with movies such as Lady Sings the Blues and Mahogany. And Ross is still performing! In the last decade Ross hasn’t recorded any new albums but she’s constantly on tour the world over singing her hits spanning her 5o year career from the early 1960s to this century! To celebrate the most successful female artist ever and her 70th birthday I’ve chosen three music videos. The first two videos are from some fabulous shows in the 1970s. The first video starts with a very moving monologue before she starts singing and the second video contains some good old fashion diva behaviour and a medley of Supremes hits. The third video is one of her last hits from around the turn of the century entitled Not Over You Yet. What more is there to say? So much more. I’m Not Over You Yet, Diana Ross! Happy birthday Diana Ross! You are truly supreme! I’m an opera lover. That’s what I am. I haven’t always been one, so sometime and somehow I became one. How it happened is really difficult to explain. To put it in Facebook terms: It’s complicated. When growing up in the 1970’s and the early 1980’s, my “classical education” was quite miniscule. Music education at school didn’t do much to introduce me to either classical music or opera, and I wasn’t introduced to this music at home either. As a kid I listened to pop music as all the other kids did. Maybe the pop music of my childhood and teenage years can explain why I became so fascinated with opera? My operatic madness must have come from somewhere! Or could it be just coincidence and pure luck? There were many candidates, but after some soul-searching I came up with a short list of six pop songs that might explain why I became an opera lover. My very first pop music moment was when the Swedish pop group ABBA won the Eurovision Song Contest in 1974. After that ABBA became my first teachers in pop music with their catchy tunes. Their songs also had some great lyrics and storylines which were easy to understand for us kids just starting to learn English. One of these songs was “My love, my life”. The great Elvis Presley died in 1977 and I remember writing about it in our school paper. Elvis’ death opened a whole new box of music for my generation. I remember my fascination for the over the top orchestrations of his songs in his later years, as well as his strong singing voice. In many Elvis songs the lyrics and storylines were just as memorable as the tune itself. Like this one, which in the 1980’s was voted by the Norwegian public as the best Elvis song ever: “In the ghetto”. The late 1970’s and early 1980’s were the times of disco music. Disco music was beat, glitter and glamour, but most of all I remember the great singing voices of the disco era. Many of the disco singers had their background from gospel and/or soul music, so their voices were very often strong and soulful. The artist that really defined the disco era was Donna Summer. She was also one of the very few disco artist that survived the disco era. Donna Summer died earlier this year. Her passing gave me a musical epiphany. Wanting some Donna Summer memories I searched the web and found a song that I loved listening to in the late 1970’s. Then it hit me: “This is so operatic! Love it! Still! This song really explains why I listen to opera today!”. The song was “Now I need you”. The strong and soulful voices of the disco era made me explore soul music, especially the artists connected to Motown. So many great artists came to my attention; The Supremes, Diana Ross, Marvin Gaye, and many more. I discovered the Broadway musical “Dreamgirls” in the early 1980’s when, on impulse, I bought The original Broadway cast album. This musical is a fictional story about a female singing group, but the story also resembles the story of The Supremes. The musical consists of a string of soulful songs, all integrated into the larger drama of the musical. This combination of music and drama fascinated me. Jennifer Holliday gave a performance in this show that was both mind-blowing and breathtaking, especially when she sang “And I’m telling you I’m not going”. When my teenage years came to an end I discovered the great jazz singer Billie Holiday. She came from a time when jazz music was the pop music of its day. The raw voice, the simple, but often very sad lyrics, fascinated me. Each of her songs told a story and they were sung by Billie as she had lived them all. And she probably had. This was songs about life for adults. No teenager’s heartbreak here. This was seriously heartbreak for grownups: “I’m a fool to want you”. In the mid 1980’s I also discovered the voice of Jimmy Somerville, the vocalist of Bronski Beat and later The Communards, before he began a solo career. His singing voice could be characterised as a falsetto or countertenor voice, but I didn’t know that then. I just liked his singing. It was just another voice to discover. And it turned out to be even more wonderful voices out there! I got a musical epiphany when I watched one of his videos on the web recently. It suddenly hit me: “I love listen countertenors today because I listened to Jimmy Somerville in the 1980’s and 1990’s!”. The video was Jimmy Somerville together with The Communards singing “You are my world”. Well, how did these six pop songs make me an opera lover? Because they were quite catchy tunes. Or they were songs with great lyrics or great storylines. Or it could be that some songs had over the top orchestrations. Maybe it was because the singers had strong voices. Or raw voices. Or soulful voices. Or it was because they sang as if they had lived the song. Maybe it was because the song was an integrated part of a larger dramatic story. Or maybe it was just because they sang in a new way, making me curious about the variations of the human voice. It couldn’t be just coincidence or pure luck. Anyhow, after listening to some classical music, I bought my first opera LPs in the mid 1980’s. It was the operas Il Barbiere di Siviglia by Rossini and La Bohème by Puccini. I liked what I heard. 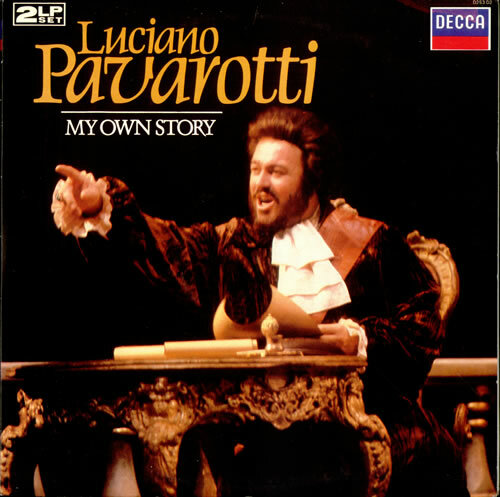 Some years later I bought my first Pavarotti record, the two LP set compilation “My own story”, on pure impulse. Pavarotti became my favorite tenor for life. And this was my own story about my own journey. A journey thru the world of pop music, via disco, soul, musicals and jazz, thru the wonderland of the human voice, into the wonderful world of opera. And the journey continues. And there just might be others out there taking a similar journey today. I wish them the best. Especially when they come home with their first Pavarotti record. Posted in Countertenors, Funny Pavarotti, Luciano Pavarotti, Pavarotti, Pop music on August 11, 2012 by Odd Pavarotti. According to this blogger, everything in life could be related to Pavarotti, Italy and/or lemons. Well … that’s how I am. Call me crazy! Or not … But believe me, most things in (my) life can really be related to these three things! I’m reminded of this today as the world says farewell to the American pop singer Whitney Houston (1963 – 2012). The funeral service is shown live on TV as I write this. 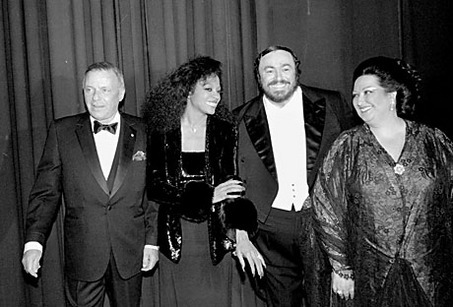 The great Whitney Houston didn’t take part in any of the Pavarotti & Friends concerts, and she didn’t perform or record any duets with Pavarotti. Of course, it could have been, or not … We really don’t know. However, Whitney Houston did share the stage with Big Luciano at one time in the US. She made a guest performance at The Rainforest Foundation Benefit Concert at Carnegie Hall in New York on April 9, 1994. Houston and Pavarotti sang together with Sting and Elton John the aria “La donna è mobile” from the Verdi opera Rigoletto. It looks as they had fun! See the first video below. On this concert Pavarotti also sang the Tosti song Marechiare accompanied by a pianist. See the second video below (sorry for the bad sound quality). On this concert Whitney Houston also sang the Stevie Wonder song If It’s Magic, and her hit song I Will Always Love You from her film The Bodyguard, which is seen in the third video below. Whitney Houston, the queen of pop, will surely be missed. This post was first published 18-02-2012. Last revised 15-03-2015. Posted in Luciano Pavarotti, Pavarotti, Pavarotti & friends, Pavarotti in classical songs, Pavarotti in opera arias, Pavarotti's collaborations, Pavarotti's performances, Pop music on February 18, 2012 by Odd Pavarotti.